One of the most valuable aspects of a face to face conference is the opportunity to meet and get to know other people working in your area/s of interest. As such, we have developed several optional informal activities to encourage networking among conference participants. A “welcome” table will be located next to the registration table. There, you can stay updated on informal activities and opportunities to meet with other professionals at the conference. Handouts or sign up sheets for most of the activities below will be located at the welcome table. Meet in the hotel lobby near the front doors at 6:30 a.m. on Tuesday, Wednesday, and Thursday mornings of the conference. This group will run 3-4 miles and will plan to be out for 30-60 minutes. This is not a race! The point is to settle into a conversational pace running group, clear the mind for learning, and burn-off the previous night’s dessert. Reflective gear or bright clothes may be suitable (sunrise averages 6:37 a.m. on the days of the conference). Dress weather appropriate; historic average low is 48 degrees F, with daylight temperatures rising. Please note: This outing has an informal host. Waste-to-Worth promoters and affiliated institutions are not responsible for issues of personal safety. Use common sense, remember your turns, obey all traffic signals, stay with a buddy or group, and watch your time. During the evenings of Monday (pre-conference) and Thursday, participants can sign up to go out for dinner with a group of around six people. Each group will have a volunteer leader and the goal is to help participants meet new people they might not have otherwise. Each person is responsible for their own meal costs. The number six is used to encourage chances for everyone to talk and because reservations are usually not needed for a small group. List of restaurants within walking distance of the hotel. If you think we’re missing a good restaurant please feel free to share it! Share your photos of Waste to Worth 2017 so everyone can enjoy them! We will be using a photo-sharing tool where you can simply text your photos to share as well as see other’s photos. 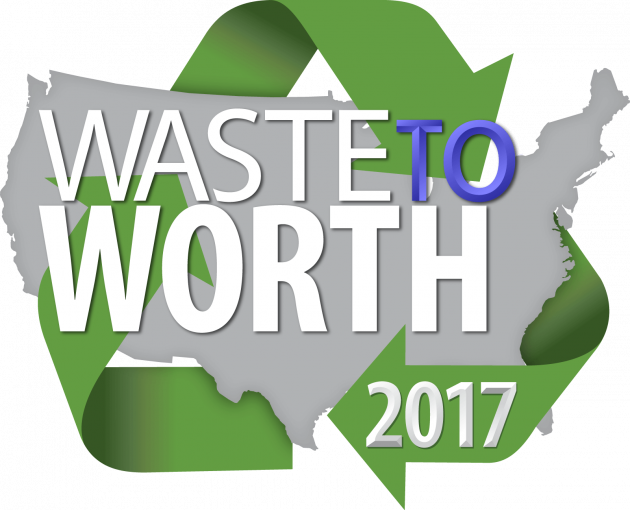 You will find an instruction sheet here: How to include your pictures in the Waste to Worth 2017 conference slideshow. The phone number for texting pictures will be available April 17 through April 30. The slideshow Waste to Worth 2017 Slideshow preview. Please note: We reserve the right to remove any photos from the group page if they are deemed inappropriate. Not all photos will be shown at the conference; we will select the best from those submitted. Photos submitted to the slideshow may be used to promote future Waste to Worth events. Do not share photos of any site, farm, or business unless they have granted permission to the group to take and share photos. Please ask at the tour site if you are unsure if it is OK to take photos. Post your tweets with the hashtag #wastetoworth and connect with other animal ag professionals on social media. The LPELC Facebook page is at: https://www.facebook.com/lpelc.cop. Post your questions, photos, and thoughts there. This is an optional activity at lunch on Wednesday and Thursday. Look for table tents with posted topics on some tables in the lunch area. If you see a topic you would like to talk about, sit at that table. If you are not interested in any of the topics or want to multi-task at lunch, pick a table without a table tent. If you would like to lead a discussion please email mary.berg@ndsu.edu. Early Career Advice…What to focus on and what to let go of. Lead by Leslie Johnson. Manure and Soil Health…The best opportunity for win/win. Lead by Rick Koelsch. Grant Writing Tips…Come to gather tips as well as share! Better Together…Engaging our producers. Lead by Mary Berg. Suggestions for topics can be sent to Mary Berg (mary.berg@ndsu.edu) any time before or during (earlier is better) the conference. The Poster Session will be held on Wednesday, April 19 from 5:15 p.m. – 7: 00 p.m. During this time you will have the opportunity to browse the posters on display and meet the authors. We will also have heavy hors d’oeuvres and tables for socializing.